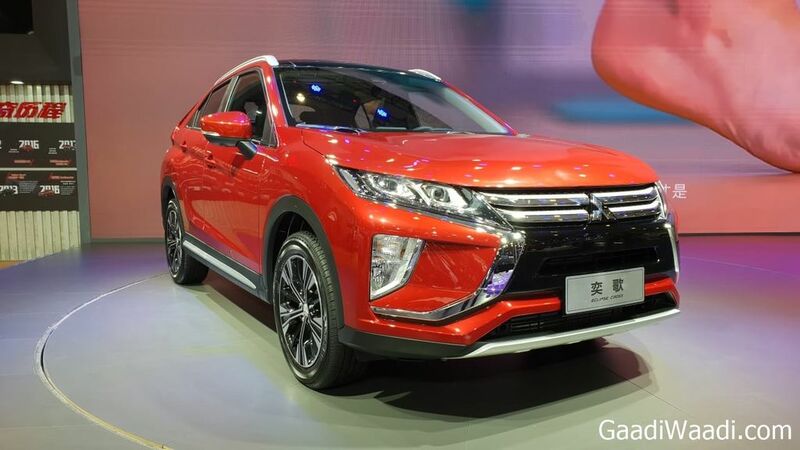 Mitsubishi Eclipse Cross has been showcased at 2018 Chengdu Motor Show and it is based on ASX platform. 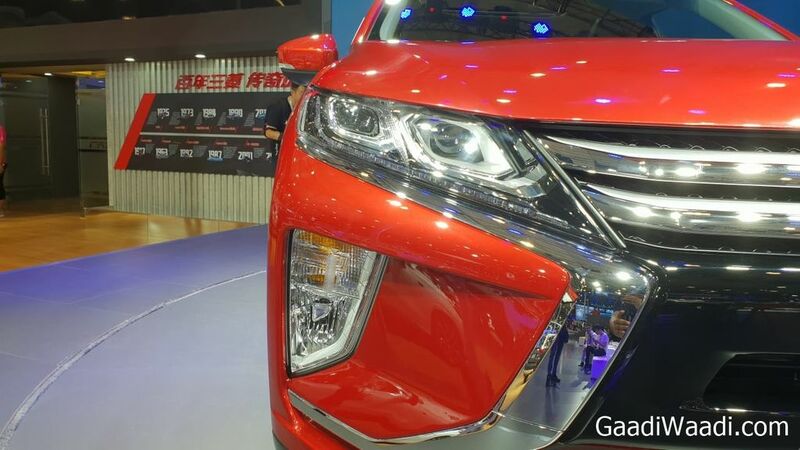 The front get H shaped grille along with new sharp looking LED headlamps, which extend towards grille. The fog lamps are placed vertically and the company has given skid plates at front and rear. 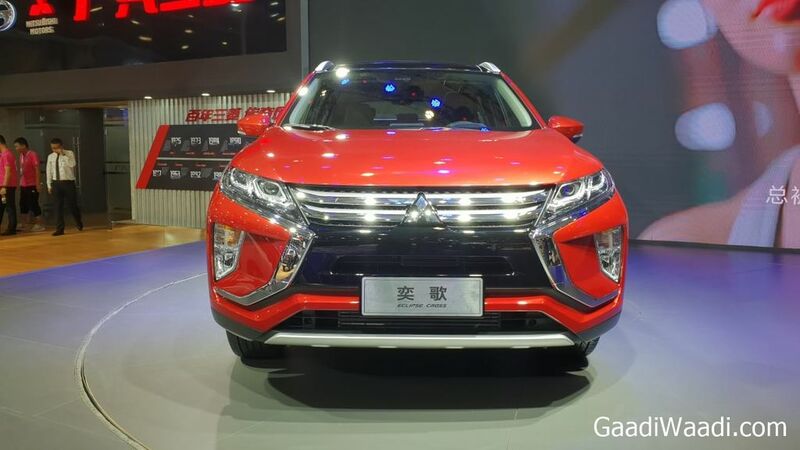 The Mitsubishi Eclipse Cross gets black plastic cladding across the body for SUV look. 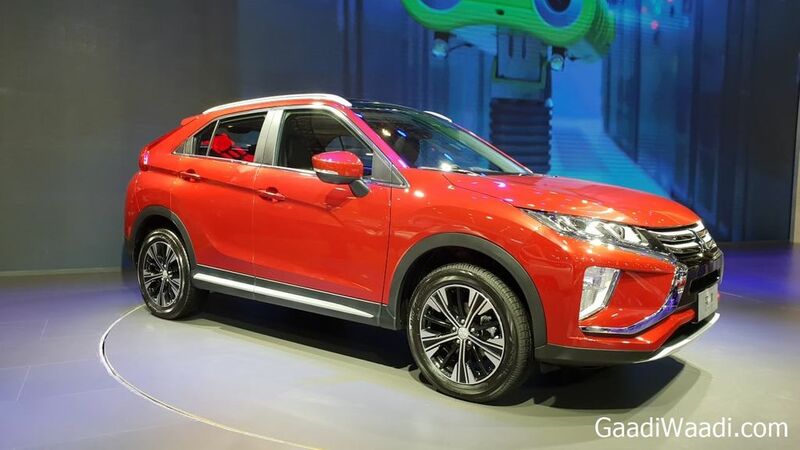 In its side profile, the crossover looks really good as the coupe roofline makes Eclipse Cross stand out from other crossover models. The rear design is unique as the company has given vertically placed tail lamps and bumper gets dual tone finish. The Mitsubishi Eclipse Cross measures 4,405 mm in length, 1,805 mm in width and 1,685 mm in height. The company has given lots of advanced safety features like Forward Collision Mitigation (FCM), Lane Departure Warning, Blind Spot Warning with Lane Change Assist, Adaptive Cruise Control and more. The company is offering two engine options with the Mitsubishi Eclipse Cross. The 1.5 L turbocharged petrol engine produces 163 PS of power at 5,500 rpm and 250 Nm of torque from 1,800 rpm – 4,500 rpm. The 2.2 L turbocharged diesel engine puts out 150 PS at 3,750 rpm and 400 Nm of torque from 2,000 – 2,250 rpm. These engines are mated to 6-speed manual gearbox and CVT transmission. In some markets, the company also offers 1.5 L turbocharged petrol engine also. 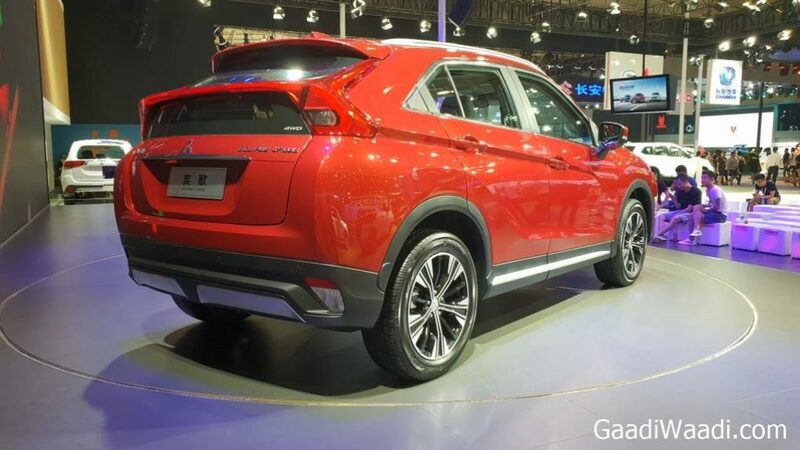 Mitsubishi is offering both front wheel drive and four-wheel drive system with Eclipse Cross. 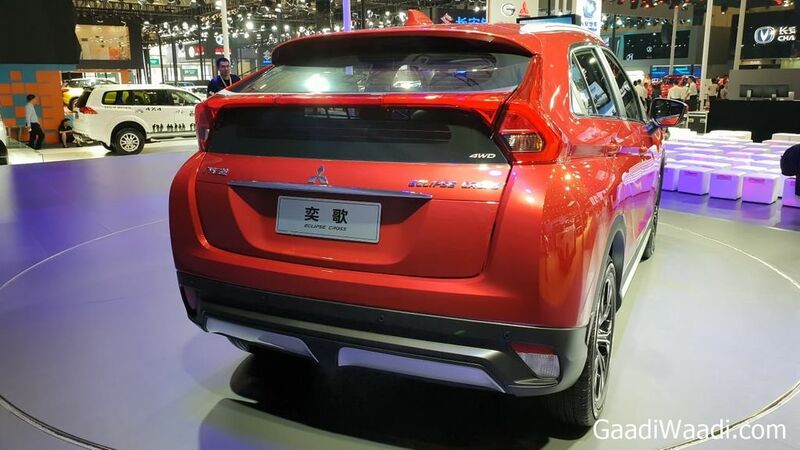 The India launch of Eclipse Cross will take place in 2020.